Special thanks to our Global Sponsors Autodesk, Chevron, DellEMC, Google, HEXBUG, Innovation First International, NASA, Northrop Grumman Foundation, Rack Solutions, Robomatter, and Texas Instruments. 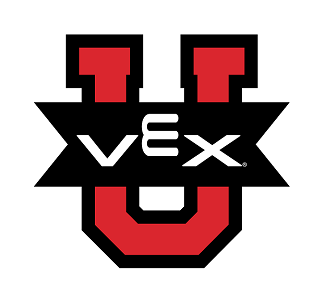 We also would like to thank our many VEX Robotics World Championship sponsors: Advanced Manufacturing and Logistics, Avnet, Dell, Diversity Woodcrafts, Eaton, Mathworks, Microchip, Molex, New Bright Toys, Nissan, Nordson, Robotmesh, Toyota, UPS, US Army, and Xilink. The commitment and support of these partners ensure a great experience for everyone attending VEX Worlds. Please download and print a copy the Drivers Meeting Notes. Please use the Robot Inspection Checklist to pre-inspect your robot prior to the event. The REC Foundation has created a special document for those attending their first VEX Worlds called, "Things I Wish I Had Known Before Attending VEX Worlds." Teams can now order lunch directly through RobotEvents.com! If you want to avoid waiting in concessions lines or making multiple purchases at different concessions stands, maximize your time at VEX Worlds and use our lunch ordering system. Please come back to order after submitting the event registration for your teams. For the hours that concession areas are open during VEX Worlds, click the following link. Gould's Discount Medical Scooters will be available for rent at VEX Worlds. Visit robotevents.com/vextv to build your own custom webcast and live results screen for the entire VEX Worlds event! Visit the hotel booking site for a great selection of accommodations and discounted rates! Teams are responsible for making their own arrangements for travel between the Louisville Airport (SDF) and their hotel. Information about ground transportation services can be found on the airport’s website. Our travel partner GET Sports can also assist with booking your airport transfer (airport to hotel/hotel to airport). Complete and return the Airport Transfer Request Form for the best available rate. A free shuttle bus loop will run between the Kentucky Exposition Center and many area hotels during VEX Worlds. Click here for details. All visa and invitation letter requests should be submitted to the REC Foundation by January 31, 2017, to ensure proper time for processing. Requests submitted after January 31, will be processed as soon as possible, but may take up to three weeks. Please note that the REC Foundation will not produce a separate letter for each team member. Instead, the foundation will produce a letter for the entire team and attach the list of team members and mentors. To learn more about our exciting host city, please visit our Louisville VEX Worlds 2017 website. All teams will get one parking pass valid for the duration of the event. The parking passes will be emailed to the main contact for the team. Additional information about the process will be sent to teams closer to the event. If your team has more than one vehicle, additional vehicles will need to pay for parking. 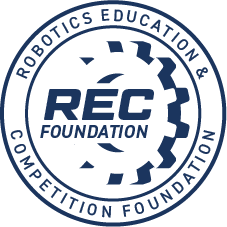 The REC Foundation has arranged a special discounted rate for VEX Worlds 2017 attendees. To get the discounted rate, simply purchase the $8 daily rate at the gate and visit the parking upgrade booth in the Workman Lobby (adjacent to the registration counter) to pay the additional $16 and receive your three-day in/out parking pass. To purchase additional parking passes click here. Note: Parking is free Wednesday, April 19 and Sunday, April 23. Find more information on parking at VEX Worlds in the Team FAQ. For information about travel options such as group and individual air travel, charter bus, airport transfer, rental vehicles, and local transportation click here. “Show Us Your Badge” Discounts — Louisville is proud to present the Show Us Your Badge program, a special discount program for show participants to use while in Louisville. Take advantage of special offers and discounts from the city’s most popular sites including retail shops, restaurants and attractions. Just present your name badge at the listed locations around town to receive amazing discounts and offers. Click here for a full list. Xhale Salon & Spa — Located in the Galt House Hotel, Xhale Salon & Spa is offering 10% off services $50.00 and higher for VEX Worlds attendees. Book your appointment more than a week more than a week in advance for a 15% discount. Visit Xhale Salon & Spa's website at www.xhalesalon.com or call (502) 587-7644. Louisville Bats — PLAY BALL! If you’re searching for a safe and enjoyable place to entertain your students while in Louisville, look no further than a Louisville Bats baseball game. Click here for information about five Louisville Bats baseball games designated as 2017 VEX Nights. VEX Worlds registration cancellations must be received by March 2, 2017, in order to receive a full refund. All cancellations must be emailed to support@robotevents.com with the team number and the contact information for the team. Teams that cancel on March 3, 2017, or after will not receive a refund for their registration fee. Teams will be notified, via email, if any event occurs that would jeopardize 2017 VEX Worlds. Please remember that the 2017 VEX Worlds official agenda will be available, and updated, on this event page, in the "Agenda" tab. Volunteer at VEX Worlds and help make this event the best experience ever for our participating students! Many volunteer roles do not require previous experience, and we provide online training resources to prepare you for any position. Join our volunteer team, get inspired, and have fun! An average shift is 4-6 hours, and you can sign up for one shift, multiple shifts, and even multiple days if it suits your schedule. This year we are offering an entirely new scheduling platform, featuring self-scheduling online, making it easy for you to select and view your shifts from any computer or mobile device. Make volunteering a family affair! Younger kids who are good at paying attention to directions make great Field Resetters, and we can pair you up in the same area to volunteer together in most cases. Visit our VEX Worlds Volunteers page to learn about available volunteer positions and to sign up. We look forward to seeing you in Louisville! VEX Worlds 2017 has gone mobile! Follow these directions to download the free app. Check out your schedule, maps, and more! Please click here for a tentative VEX Worlds 2017 VEX U Agenda. Please note that since this agenda is tentative, times may vary from 15-30 minutes. For general information and inquiries, please contact our support staff via email. For information regarding payment for 2017 VEX Worlds, please contact our accounting department. 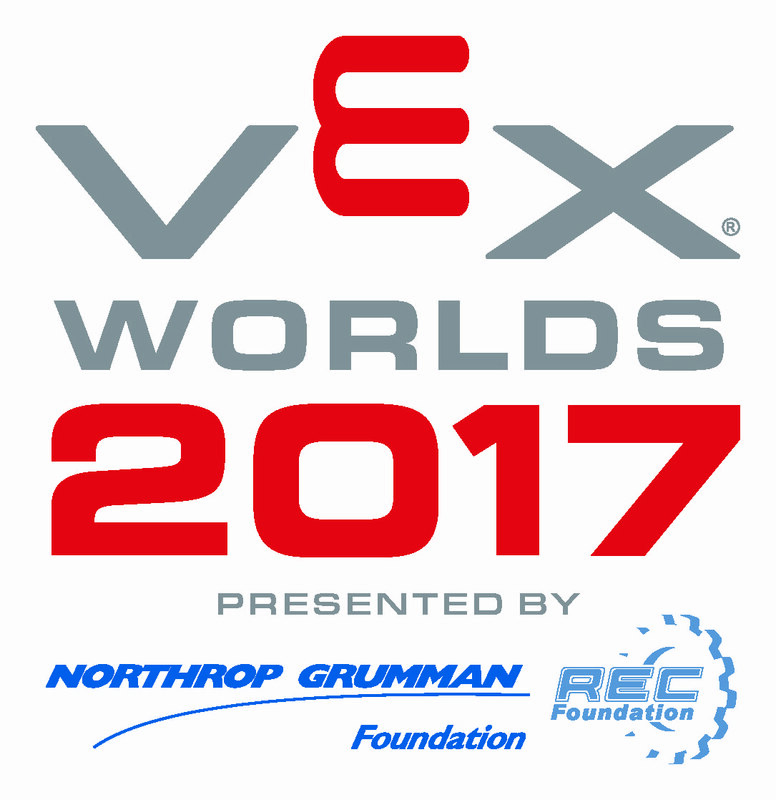 VEX Worlds 2017, presented by the Northrop Grumman Foundation, brings together top robotics teams in the VEX IQ Challenge, VEX Robotics Competition, and VEX U under one roof to celebrate their accomplishments and participate with the best teams from around the world. VEX Worlds will include top teams from events happening in cities around the world from June 2016 to March 2017. The online World Championship Apparel Store will remain open for a limited time. Teams that have not qualified for VEX Worlds at an event or teams that have qualified and did not register on time can be placed on the wait list. Click the "Wait List" tab above and place your team on the wait list. If spots open up, teams on the wait list will be notified and instructed to register. Space at VEX Worlds will be in high demand and we don't anticipate many (if any) spots opening up for teams on the wait list. Please download and review the VEX Worlds 2017 Team FAQ document for commonly asked questions and more information. VEX Worlds will once again conclude with a Team Party at Kentucky Kingdom amusement park. Price: $30 per ticket in advance of arrival or $45 per ticket onsite. Advance tickets are available through April 14. To purchase tickets, visit: VEX Worlds Team Party. The following restaurants will be open during the VRC and VEX IQ Challenge Team Parties. For hours concession areas and food trucks are open during VEX Worlds click here. To order team lunches before the event, visit the “Concessions” tab after submitting team's event registration. The VEX Worlds Program Book contains all the information you need to make your trip to Louisville a memorable one, with the event agenda, shuttle and hotel information, local attractions, Show Your Badge discounts, the VEX Worlds team party and much, much more. Submissions for this year's pre-submitted awards closed March 20, 2017. Information about shipping your robot, tools, and supplies through Fern Exposition can be found here. If you have any questions about robot shipping information, please contact Fern directly at (502) 367-0254. Located in the North Wing of the Kentucky Exposition Center next to the HEXBUG booth and the STEM Hall of Fame, the REC Foundation Store will be open for teams looking for VEX Robotics parts at VEX Worlds. Orders can be placed online at the store's website using a credit card from any connected device (computer, tablet, mobile phone) at any time during the event. After placing an order, customers will be notified via email when the order is ready for pickup. Once notified, simply come to an Order Pickup window with your order number. Pre-orders for items will be accepted online starting on Wednesday, April 12, 2017. Pre-orders placed prior to the event will be ready at the REC Foundation store when it opens on Wednesday, April 19, 2017, at 12 p.m. Cash will be accepted for orders at the Customer Service window during the store’s normal hours. There will also be self-service ordering stations at the REC Foundation store for ordering in-person by credit card. Using the online store on your device for ordering is recommended to get your parts as quickly as possible. Visit the store's customer service windows if you have any questions or need assistance with anything! There is no guarantee that the store's inventory will last throughout the event, so please plan ahead and bring a good supply of spare parts with you. Wednesday 12:00 p.m. – 6 p.m.
Saturday 7:30 a.m. – 3 p.m.
Sunday 12:00 p.m. – 6 p.m.
Tuesday 7:30 a.m. – 3 p.m.
VEX Worlds is free and open to the public. This lively and engaging event is suitable for the entire family. Spectators are welcome to attend the ceremonies, watch matches, and visit with teams in the pit area. Click here for parking information. VEX Worlds 2017 has gone mobile! Follow the directions linked below for each VEX Worlds Division to get the free app. Check out your schedule, exhibitors, maps, and more! Click here for the VEX Worlds 2017 Venue Map. Please follow this link that will direct you to the team email blast archive on VEXForum.com.